The continued economic recovery in America has been a double blessing for non-profit organizations. Rising employment numbers mean there are fewer people in need of services and increasing household incomes mean that individuals have more disposable income that they can donate to their favorite cause. The economic conditions are right for a banner fundraising year, but nonprofit organizations have to do their part. Recent studies from various global research groups show what organizations should do to increase their fund raising in 2014. In November, the global research firm YouGov surveyed more than 1,100 people to see what prompted them to make their last contribution to a nonprofit organization. The results of the study strongly suggest that a mixture of internet marketing and traditional marketing techniques are needed to best reach and motivate all potential donors. Social media was shown to be a motivator for young adults 18-34, helping them choose when and who to donate. In this younger group, 11 percent said their last donation was prompted by something they saw on social media. In the population as a whole, 6 percent said that social media prompted them to make a donation. It’s important to remember that these percentage will undoubtedly go up as more nonprofits begin to shift some of their fundraising budgets to social media fundraising efforts. Email marketing also had a strong showing in this study. According to the researchers, 10 percent of the respondents said they were prompted to donate by a message they received in an email. This finding remain constant throughout age groups. The youngest demographic were only slightly less likely to be prompted by an email (9 percent) and the older group was only slightly more likely (12 percent). This means that email marketing should be used by all nonprofit organizations, because no matter who the target demographic is, marketers can reach about 10 percent of them through email. Given the general inexpensiveness of email marketing, this is worth the investment. Mass media fared as well as social media and email marketing, accounting for an additional 11 percent of donors. The big shock of the study was direct mail, which the motivation for more than a fifth (21 percent) of donations in the group. According to the study, mail delivered to the person’s home was particularly successful with those over the age of 55, with 25 percent of that age group saying they made their last gift in response to direct mail compared to 14 percent of 18-34 year olds. Lower income households also respond strongly to direct mail with 29 percent of those earning $40,000 or less responding to direct mail for their last donation, compared to 18 percent of those earning more than $80,000. Though it wasn’t included in the study, nonprofit organizations should keep mobile marketing in mind. 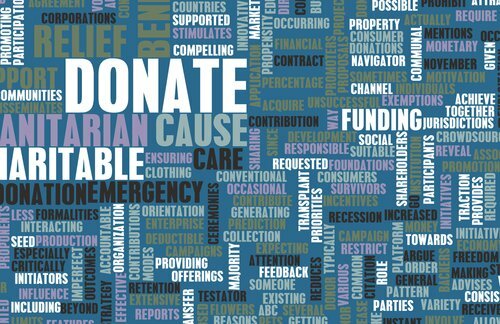 Text-based donations have had an up and down ride since they were introduced, but recent research shows that the tactic still has steam. A Pew study showed that text-message giving made it easier for people to act on their impulses to give. The amount of the donation plus the ease of doing it makes it possible for people who are moved by a message to quickly donate to cause. In the aftermath of the Haiti earthquake, half of the respondents said the donated immediately after they heard about the Text-To-Give campaign and 23 percent did so in the same day. The results haven’t been as good following other disasters, but the point remains that this is a viable fundraising channel. “All these things taken together, [mobile donors] don’t feel the need to conduct much research.” said one of the study’s researchers. A key takeaway from these studies is that no one form of fundraising motivates more than 25 of the audience to make a donation. An integrated marketing campaign that utilizes traditional media, websites, mobile marketing, social media marketing, and good old fashioned mailers, is the only way to reach all potential donors. This is also a situation where knowing the audience matters. Looking forward, knowing the age of a donor can help determine what is the best way to contact them. Sending mailers to older donors and social media alerts to younger ones is a more cost-effective way to raising funds for a nonprofit. The economic conditions are right for donation, but if the message doesn’t reach donors in a way that spurs them to action, a nonprofit organization could miss the fundraising potential for 2014. When trying to fish for individual donors in the complex sea of modern media, a broad diverse net of marketing is the best way to land the big catch.